Memphis is home to colleges, universities and technical schools that are consistently cited among the top schools in America. There are opportunities in Memphis to prepare for any career goal you may have. From the prestigious Rhodes College to the Kemmons Wilson School of Hospitality at the University of Memphis, there are multiple degree programs, technical training in a myriad of specialties, and continued education courses like photography, public speaking, American Sign Language and web design offered at Memphis’ many universities and training centers. 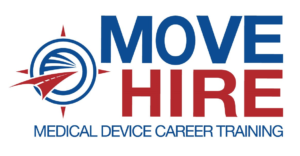 Get FREE tuition for the skills training you need to start a career in the Memphis Medical Device Industry through MOVE-HIRE! The medical device industry employs nearly 17,000 people locally with salaries up to $80,000/year, but the industry cannot grow without more people who are trained for these important careers. Individuals trained through this program will receive training at local Mid-South institutions to pursue careers as machinists, machine operators, metal finishers, quality assurance, packaging, and logistics, all tied to real jobs in the Greater Memphis Area. *The medical device industry in Memphis, Tennessee employs approximately 7,000 people directly and 10,000 people indirectly, generating $2.4 billion annually in economic impact for the local economy and $50 million in annual tax revenue. Facing the challenge of future growth limited by the supply of skilled workers in critical career pathways, MOVE-HIRE (Medical device Occupations Value Education – Help In the Regional Economy) is funded through a grant from the U.S. Department of Labor. The GMACWorkforce MOVE-HIRE’s total project cost is $12,761,801 funded by a $5,992,314 (47%) grant from the United States Department of Labor and leveraged with $3,077,442 (24%) other Federal, $527,714 (4%) state, and $3,164,331 (25%) institutional and private funds. The University of Memphis has the highest academic requirements of any public university in the Mid-South. With an enrollment of just over 22,000 students from almost every state and more than 80 foreign countries, the U of M offers not only solid academic programs, but also a diverse academic community in a unique urban environment. Programs can be chosen from over 50 majors and 95 concentrations of study within 11 colleges and schools, in addition to the Juris Doctor (law) and a specialist degree in education. Rhodes College, perennially one of U.S. News & World Report’s top liberal arts colleges, is in midtown Memphis, not far from Christian Brothers University and the University of Memphis. Rhodes offers undergraduate liberal arts studies and engineering degrees. Christian Brothers University (CBU), located on a 75-acre wooded campus in Midtown, is a four-year, private university affiliated with the Roman Catholic Church. CBU offers multiple undergraduate and graduate degrees to a student body of around 2,000. While CBU is a Catholic university, 34 different faiths are represented in the student body (21% Catholic). The merger of LeMoyne College and Owen College in 1968 joined two local institutions with rich traditions as private, church-related colleges historically serving black students in the Mid-South area. Today, LeMoyne-Owen College continues its mission to be an exemplary historically black college providing an excellent liberal arts education that transforms urban students, institutions and communities. LeMoyne-Owen serves just under 1,000 students, offering degree programs in the divisions of Business and Economic Development, Education, Fine Arts and Humanities, Natural and Mathematical Sciences, and Social and Behavioral Sciences, SIAC (Southern Intercollegiate Athletic Conference) men’s and women’s sports, and many student activities. The Memphis College of Art serves a diverse population of around 400-450 students representing 25 states and five foreign countries, offering both Bachelor’s and Master’s of Fine Arts degrees. Around half of the student population is from outside Tennessee, with roughly the same amount from the Mid-South. MCA is located within 342-acre Overton Park in the heart of Midtown Memphis and centered around Rust Hall, an award-winning building created by Roy Harrover (Harrover & Mann). More than 75,000 square feet of student housing is available in the area. The Memphis location of Freed-Hardeman University offers graduate studies in Clinical Mental Health Counseling, Education, and Theology. FHU studies are designed for working professionals, and classes are available in the evenings and on weekends, in addition to greater flexibility through online, web conference, and hybrid courses. The university’s main campus is located in Henderson, Tennessee. The Memphis campus of Bethel University has been open since 2004. Bethel offers both MBA and undergraduate degrees, including management and organizational development. Bethel students can take classes online and at the Memphis location. Bethel has seven locations throughout the state of Tennessee. Southwest Tennessee Community College is the largest community college in Memphis and Shelby County. Offering fully-accredited 2-year degree and certificate programs, Southwest has a convenient seven campuses located throughout Shelby and Fayette Counties. Courses are offered in fine arts, criminal justice, allied health sciences, nursing, information technologies, engineering technologies, automotive technology and business studies. The Baptist College of Health Sciences, established in 1994, offers a Bachelor of Science degree in nursing and a Bachelor of Health Sciences degree with majors in respiratory care, diagnostic medical sonography, health care management, nuclear medicine technology, medical radiography and radiation therapy technology. The college also offers completion degrees for licensed or registered nurses and respiratory therapists. In addition, the college provides a variety of class schedules, from traditional day classes to evening and weekend programs. Located in the Medical District just outside of downtown, the UT Health Science Center campus include colleges of Allied Health Sciences, Dentistry, Graduate Health Sciences, Medicine, Nursing and Pharmacy. Students are exposed to training in patient care, professional education courses and research courses at hospitals and other clinical sites across Tennessee, including here in Memphis. Endowed professorships, research centers of excellence, and continuing relationships with research and healthcare facilities across Tennessee ensure that both basic science and applied research stay focused on contemporary health topics. Founded in Memphis in 1932, Southern College of Optometry’s students consistently outscore the national average in board scores and graduation rates. The college is committed to academic excellence and cutting-edge clinical training. Students and faculty enjoy the opportunity to learn and practice optometry in The Eye Center, one of the largest and most clinically advanced vision and eye care centers in the country. The Eye Center records more than 60,000 patient encounters each year, and the clinical presence of SCO has a huge impact on the Memphis community. With a mission to become the MIT of the South, the FedEx Institute of Technology specializes in conducting world-class interdisciplinary research, producing a digitally savvy workforce, and being an evolving, dynamic resource for businesses at large. Housed in a new, state-of-the-art building, the FedEx Institute integrates curriculums designed to teach the newest technologies – from biologically inspired computer processing to public policy – with the most advanced and evolving methods in teaching and learning. The MTS Student Body represents 30+ denominations. The largest numbers of MTS students are from Methodist, Cumberland Presbyterian and Baptist denominations. The seminary campus is located in mid-town Memphis on five acres at the corner of East Parkway and Union Avenue. The seminary is accredited by the Association of Theological Schools in the United States and Canada, and by the Commission on Colleges and Schools of the Southern Association of Colleges and Schools. MTS is also approved by the University Senate of the United Methodist Church as a school for theological students of the United Methodist Church. The IRT is a four-week program designed to prepare individuals in local manufacturing and industry. The training teaches and measures foundational technical, academic, and interpersonal knowledge and skills that have been identified by local industry leaders as critical to long-term employee success. In the first two years, the program graduated 695 students. Created initially to help Blues City Brewery train employees, the program has been used by food processors such as Unilever, Riviana Foods and Solae to find and train employees. The one- and two-year Advanced Integrated Industrial Technology program is designed primarily to train maintenance technicians in the fields of manufacturing, industrial process control, distribution, warehousing, and transportation. Shelby County Schools, the main school system for Memphis residents, offers four career and technical education centers that allow high school students and adults to enroll in technical courses. Specialized dual enrollment courses are also available to high school students throughout the district in aviation, welding, diesel technology and engineering. During the 2012-13 school year, more than 48,000 students enrolled in one of these courses. Areas of study included welding, logistics, warehouse distribution, and career management success. As part of the Grater Memphis Alliance for a Competitive Workforce, Shelby County Schools is working to align vocational programs with industrial needs. The Mid-South Quality Productivity Center provides training and consulting services that include ISO 9000 training, consulting and workshops, Malcolm Baldric National Quality Award Assessments and Self-Assessment training, and cycle-time reduction training through the Center’s Process Activated Training System (PATS). In November 2016, the Tennessee College of Applied Technology (TCAT), the University of Memphis, and the Greater Memphis Alliance for a Competitive Workforce (GMACW) received $12 million in grants for construction of a new medical device hands-on training facility. The institute will aim to train 240 students annually with a goal to graduate 1600 students by 2025. Concorde Career College–Memphis, established in 1979, has been training health care professionals for more than 35 years. Concorde–Memphis offers 16 programs, including dental assisting, dental hygiene, health information management, massage therapy, medical assisting, and nursing. The Memphis facility is over 68,000 square feet, including 27 classrooms and 12 program-specific labs. The Tennessee College of Applied Technology serves as a premier supplier of workforce development throughout the State of Tennessee. With two locations in Memphis, TCAT has a regular enrollment of nearly 1,000 students building careers in a wide variety of fields, including automotive technology, barbering, dental laboratory technology, truck driving, welding technology, and many more. TCAT’s Aviation Extension Campus offers training in aircraft mechanics and avionics maintenance technology. The Swift Driving Academy provides students with all the necessary skills to prepare for the Class-A Commercial Driver’s License exam. For those that qualify, Swift offers financing for student housing, bus transportation to and from the Academy, tuition reimbursement, a scholarship program, and more. Students can earn their CDL from Swift and begin career in truck driving in as little as three weeks. New Horizons offers online and on-site training in multiple computer programs that are used in workplaces daily, including Microsoft and Adobe technical and application courses, and business courses in Salesforce, cloud technologies, Six Sigma training, and more. OCTI is a Department of Labor approved training provider that is committed to career training in the Memphis community. OCTI was created due to the overwhelming need for training in logistics, the largest employer in the Memphis economy. OCTI seeks to become a leading training provider for Memphis International Airport – the Memphis Aerotropolis – as it transforms from “America’s Distribution Center” to the aerotropolis that links air, rail, truck and barge as a complete and seamless transportation system for moving people and product around the world. Remington College-Memphis began in the Mid-South in 1987 as a “Southeast College of Technology”. Programs offered at the Memphis campus include Medical Assisting, Pharmacy Technician, HVAC Technician, Criminal Justice, and more, in addition to online programs. The staff and instructors at Remington seek to provide students with practical, transferable skills that are expected to be in demand by employers in Memphis and Shelby County. Special guests and local business leaders visit students throughout the year to provide insights into the realities, rewards, and possibilities of pursuing a career in their fields of interest and trade. Vatterott Career College has two campuses in Memphis to provide students with an accessible and affordable education in a variety of auto, medical, trade, and technology training programs. For students interested in pursuing culinary interests, Vatterott also operates the L’Ecole Culinaire campus in Cordova. Founded in 1909, Moore Tech is one of America’s oldest vocational institutions. Located in the heart of Memphis, Moore Tech offers hands-on learning in small classes. Students learn by working on the latest equipment with individual attention from professional instructors, and boasts job placement rates for graduates of 95-100%. Programs include an Associate Degree of Applied Technology, Plumbing, Maintenance Technology, Welding, Machining Technology, and Industrial Electricity and Plant Maintenance. Strayer University offers many online programs and also has a location in Southeast Memphis, offering undergraduate and graduate programs in high-demand fields such as accounting, business, education, health services administration, information systems, and public administration. Strayer offers class schedules designed to fit the lives of working adults. Embry-Riddle is the world’s pre-eminent university for aviation and aerospace education, but also offers a variety of dynamic, hands-on programs to prepare students for careers in many industries, not just ones in the skies. The Memphis campus, located near TPC Southwind, offers associate, bachelor’s, and master’s degrees, as well as undergraduate certifications.